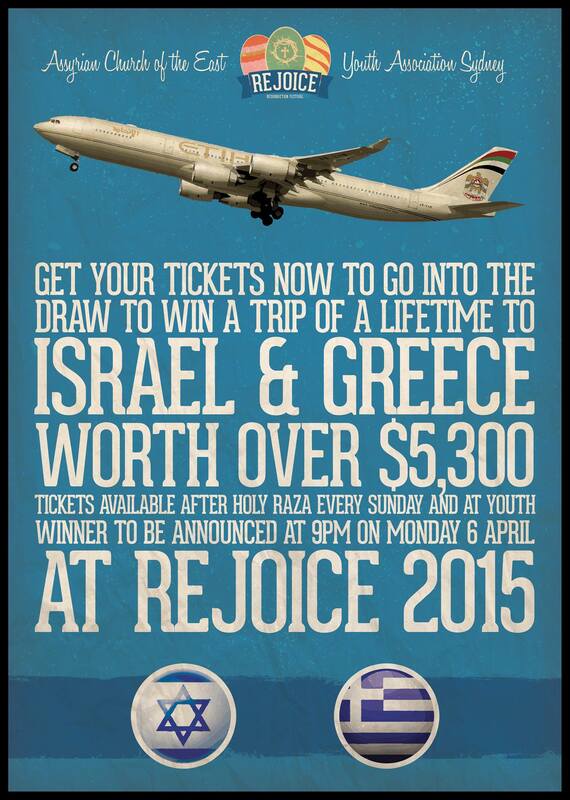 ACEYA is holding a raffle draw at this year’s Rejoice Resurrection Festival (Easter Monday). First prize is a trip for one to Greece and Israel (September 2015). Tickets will be available at all parishes every Sunday (starting from this Sunday). For more info, please contact ACEYA on 04 888 YOUTH (96884).